Intro to Tracking - Half-day "Family Program"
Experience the excitement of tracking animals in the winter! Most mammals remain active throughout the cold-weather months. Knowing how and where to look, we can find evidence of their daily lives and the struggle for survival in the forest. 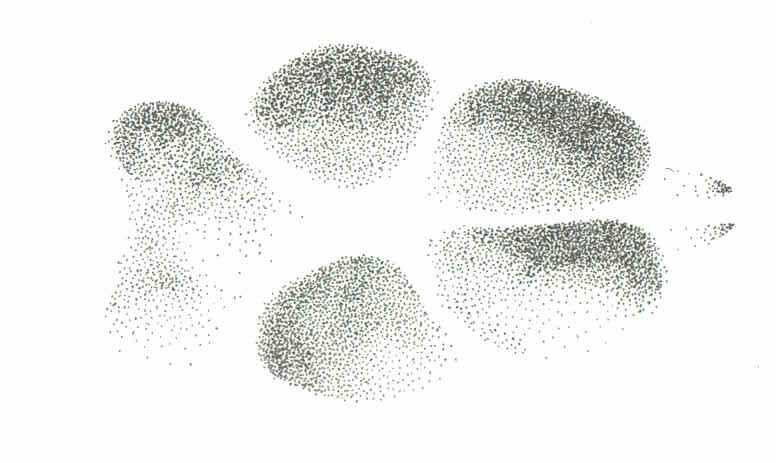 Adults as well as adults with children are welcome on this short introduction to tracking. Snowshoes will be required if there is deep snow (we have a few pairs available for a modest fee). Please note that all children must be accompanied by an adult. This program will open your eyes to the web of life around us, revealed by animal tracks in the snow! Please note: We have had many adults without children attend this program over the years. It is a perfect introduction to tracking for those who may not be willing to spend an entire day in the outdoors during the winter or able to walk long distances.